Only TennantTrue parts are designed specifically for cleaning with Tennant Machines. 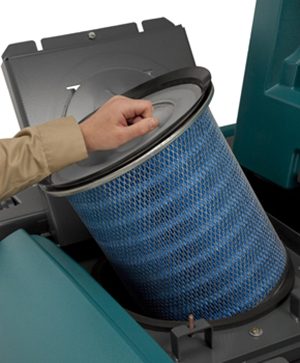 TennantTrue parts are designed to fit your Tennant machine and deliver optimal cleaning performance. The correct fit helps reduce machine downtime and service calls. Slip, trip, and fall accidents are often caused by oily or slippery floors and debris. They are the leading cause of workers compensation claims, with costs exceeding $60 billion per year. 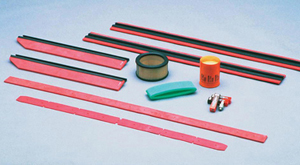 ** Using parts specifically designed for Tennant equipment helps reduce the risks associated with these hazards. Minimize your risk by using only genuine TennantTrue parts on your Tennant cleaning equipment. 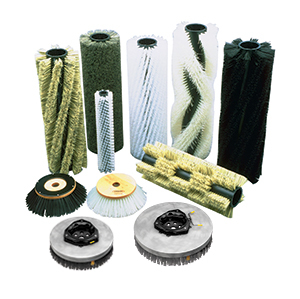 TennantTrue® Brushes provide the most cost-efficient way to ensure superior cleaning results for the life of your Tennant sweeper or scrubber. TennantTrue® Squeegees ensure maximum solution / residue recovery and the cleanest, driest floors. TennantTrue® Filters are designed to raise indoor air quality, optimize machine performance, and increase machine productivity. TennantTrue® Batteries are designed to keep your environment free of potentially hazardous cords, fumes, and noise.